What? Sort of a weird combination isn’t it? A couple of weeks back, I had my first visit to Rabbit Hash on the back of a friend’s bike as we rode in the 2nd Annual Krystal Pepper Memorial Scholarship Poker Run. 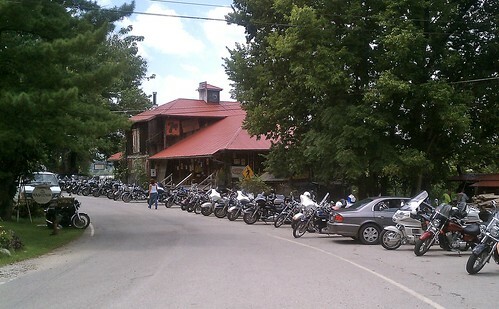 I fell in love with the place … of course, a hundred Harleys everywhere helped a bit with the ambiance. 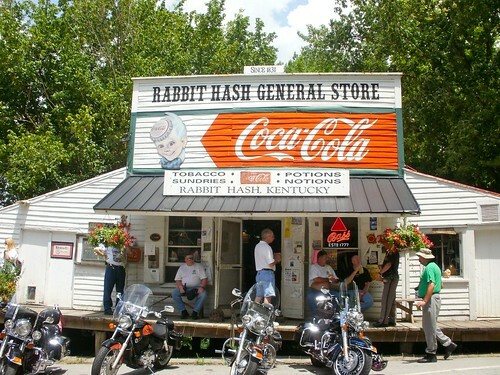 If you haven’t been to Rabbit Hash, it’s hard to explain. It’s small, old-timey, full of character, and apparently home to a rather liberal-walk-around-the-street alcohol policy. Everyone was friendly. There was a cop stationed on the porch of the General Store, but we figure he was there to combat stupidity (don’t go falling into the river) as opposed to breaking up fights. I know they occasionally have rockabilly concerts at the store as well. In Rabbit Hash you can generally get burgers, hot dogs, beer, and now … wine. I had noticed where the wine shop was going to open. I mean, there are only about 4 or 5 buildings, so it wasn’t hard to miss. 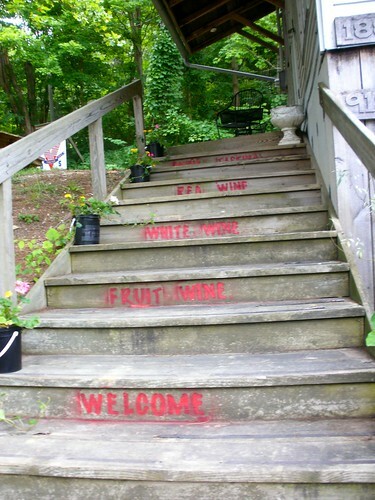 The stairs leading up to the second floor shop read off different types of wines, including fruit wines. When I found out today that Curtis Sigretto of Elk Creek was opening the shop, I wasn’t surprised. Elk Creek is actually the perfect winery for that spot. Why? They offer more than just vinifera. By offering the fruit wines, they’ll appeal to a wider base of consumer. Now, almost everyone around here has heard of Rabbit Hash (I’m pretty sure they’ve got a large marketing budget) and of course, they’re famous for their mayor. 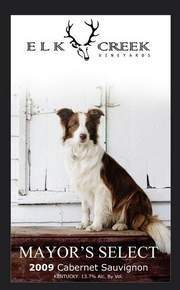 Elected in 2008, the current mayor is an adorable red and white border collie named Lucy Lou. It looks like Elk Creek is going to bottle several special editions of their wines with the dog on the label – yep, the Rabbit Hash branded wines will be called Mayor’s Select. There are plans to have a Rabbit Hash wine club and there is talk about having a Rabbit Hash wine festival, according to Sigretto. “The Rabbit Hash wine festival will feature and celebrate Kentucky grown grapes and the processing of Kentucky owned vineyards and wineries,” Clare said. Store hours are 11-7 pm, Thursday through Sunday, and hours may change for special events. Editor’s Note: Elk Creek Winery is a frequent advertiser on this blog. At the time of this publication, they are not running an ad. In the interest of full disclosure, they have also been a past social marketing client of mine, although not for several months. 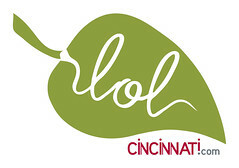 I generally try to avoid writing articles that involve my advertisers or clients. This is, however, news and not a review, and the dog is cute. Interesting to taste Kentucky wines.